Home > Infertility Tests > What Are Anti-phospholipid Antibodies (APAs)? Anti-phospholipid antibodies are antibody molecules produced by the body against its own phospholipids. These are fat molecules with phosphorus groups attached and they are present in every cell membrane of every cell in the body. Making antibodies to the membrane of your own cells is abnormal and is associated with different autoimmune diseases such as systemic lupus erythematosus. Producing anti phospholipid antibodies causes a range of illnesses; the most severe is catastrophic anti-phospholipid syndrome, in which the antibodies attack every organ of the body. This is usually fatal. 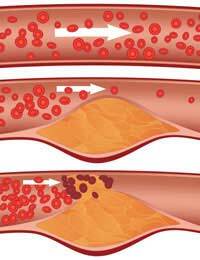 Milder health problems include deep vein thrombosis – the antibodies attack the inside of veins and arteries, making clots more likely. Women who produce anti phospholipid antibodies often have difficulty getting pregnant and, if they do, the antibodies damage the placenta that feeds the growing baby and miscarriage and other complications of pregnancy are common. During the early part of pregnancy, the cells of the embryo divide rapidly. When implantation occurs, the placenta forms to bring the blood supply of the mother directly to the blood circulation of the developing foetus. Although there is a placental barrier that stops some transfer of potentially harmful molecules, other molecules can get across. Anti-phospholipid antibodies can fix onto cell membranes of cells inside the blood vessels of the placenta, making them less efficient at carrying blood. As the baby needs more oxygen, this causes poor growth and miscarriage at about the 20th week of pregnancy can occur as a critical point is reached. If the pregnancy continues past that time, there is a higher risk of the mother developing pre-eclampsia and of blood clots forming in the placental blood vessels. Babies of mothers with anti phospholipid antibodies that survive tend to be born prematurely and can suffer developmental problems, both physical and mental. There are many causes of infertility and having higher than normal levels of anti-phospholipid antibodies is a relatively rare cause. More likely reasons need to be ruled out before it is worth doing a test, unless a woman is showing other signs of having an autoimmune syndrome. Anti-phospholipid antibodies can be detecting using a blood test, which can also detect other antibodies that may be present that are directed towards the woman’s own tissues. Other tests are then available to see if the woman concerned has other signs of an autoimmune disorder. Genetic mutations that increase production of anti-phospholipid antibodies have been described recently and three major mutations – the Factor 5 Leiden variant, the MTHFR mutation and a mutation in the gene that codes for the blood factor prothrombin – can all be checked using standard DNA testing procedures. For women who have had repeated miscarriages and are then found to have elevated levels of antibodies against their own phospholipids, treatment is possible and fairly simple and safe. Taking a daily small dose of aspirin or another blood anti-coagulant can help a woman be more fertile and be more likely of carrying a baby to term. This daily treatment can also prevent deep vein thrombosis and heart attacks, which are major risks later in life. As more information is gathered about the role of anti-phospholipid antibodies and their impact on fertility and pregnancy, doctors are becoming more aware of it as a potential problem. They can help provide the treatment and advice on lifestyle changes that will help your long term health, as well as your chances of becoming pregnant. Although this is a relatively rare condition, a surprisingly high number of people in the population do have slightly raised levels of anti-phospholipid antibodies and it is worth looking around for a local or national support group with an internet site for more information.